If you’ve been following me for a while you’ll probably know that I was recently sent a nice little haul of Red Vape eliquids. There’s a cheeky little video review on Youtube if you fancy giving that a watch, and there’s also the Red Vape Reserva Shade Eliquid Review and Red Vape Havano Gold Reserva Eliquid Review to check out too. I’m a big fan of tobacco MTL (mouth-to-lung, low-VG/equal VG:PG) e-liquids, although I appreciate they aren’t to everyone’s tastes. A lot of people ask me why I vape with tobacco flavoured liquid when I started vaping to quit smoking, and I honestly don’t really know why. I think it’s because, although I love sub-ohm vaping, sometimes I still really crave a cigarette. At those times, MTL vapes offer more satisfaction. My MTL liquids are often in 12 mg or 18 mg, rather than the 3 mg I vape with, in my sub ohm devices, so it offers me more when I need it the most, I guess? Whatever the reason, I think I’m always going to be one of those vapers who always has an MTL and a sub ohm device to hand. Finding the right tobacco eliquid is hard work. That’s what I’ve found, anyway. I’ve tried so many, and quite a few of them I haven’t liked at all. This isn’t the first time I’ve tried Red Vape’s tobacco delights, and I liked them back when I tried them the first time around. In fact, a few of them became everyday tobacco liquids for me. You can find the reviews for those here > Red Vape Eliquid Review [Round One]. One of those big tweaks, of course, was the change from beautiful glass bottles to stupid plastic ones. I should really stop complaining about that soon. They’re available in 3 mg, 6 mg, 12 mg and 18 mg.
Perique is very exotic-sounding. It was the third one I tried out of my little collection, and this 10 ml bottle came in 6 mg strength. I think I’ve already mentioned a few times before that I would usually buy a 12 mg in my MTL eliquid. 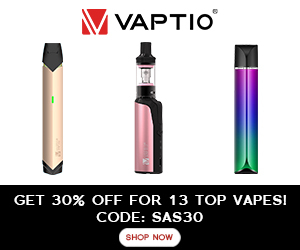 I was vaping with 18 mg up until recently, but I don’t know if the liquids are getting stronger, or if my preferences have changed, but I just find most of them a little too much. Too gruff and with too much of a throat hit. Maybe I’m just getting older and I can’t handle the higher-strength stuff anymore. Who knows? Either way, I’m a 12 mg girlie these days for my MTL eliquids. Right, I really did like Havano Gold & Shade from the Reserva range, but this one had too much of a unique flavour for my liking. I’m not sure if you’ve read any of my other tobacco eliquid reviews, but I mention a bitter taste sometimes? This one kinda has that bitter taste, I think. Only a little bit, but I think that taste would come across much more if I went up to a 12 mg strength. I didn’t find this one quite strong enough in terms of throat hit and vapour, but I don’t think I’d like the taste if I went any higher. Just my personal preferences, remember? Vanilla? Hmmm, maybe, but I’m not sure that would give me the bitter edge. There is something warming and sweet in there, but I’m not sure I would have said vanilla or caramel. Liquorice! That could be it, you know. I’ve never liked that stuff. That would explain why this tobacco liquid doesn’t sit quite right with me. There’s a noticeable difference between 6 mg and 12 mg in the Red Vape range, as you would expect, but with Shade (6 mg) and Havano Gold (12 mg), I liked them just as they were. Shade was more muted than Havano Gold, but still very enjoyable nevertheless. Now, don’t get me wrong, I’ve said a lot of “I don’t like” things about this particular flavour of the Red Vape Reserva range, but that’s just this one flavour. Shade and Havano Gold were absolutely delightful flavours, and have easily become all-day, everyday vapes for me. I can’t say enough GOOD things about the NET range from Red Vape. The taste of this one just didn’t suit me. It currently has 7 reviews (at the time of writing) on the Red Vape website (read them HERE), and they all say pretty positive things. They say things like “strong”, “powerful”, and “pack a punch”, which I’m sure could be said for the 12 mg and 18 mg varieties. At 6 mg, this didn’t give ME enough of the throat hit and vapour, and it’s not one that appealed to MY taste buds. Would I buy Red Vape Reserva Perique again? Nope, not this particular flavour, but a few of the others? Absolutely yes. Would I recommend Red Vape Reserva Perique to you? If you’re a fan of tobacco with a twist, I would imagine you’d quite like this one. Those touches of vanilla and liquorice definitely add something new to the eliquid. I’m just not the biggest fan of it all together. Find Red Vape Reserva Perique here. HONESTY POLICY: These Red Vape eliquids were sent to me by Red Vape. I did not pay for these products. I was not paid for my review, and I will not be paid for my HONEST review. All opinions are mine and in no way influenced by the brand/manufacturer.